When you are looking for a new and fresh way of updating your home’s design, consider the advantages that roller blinds might offer for your interior decoration. You can find affordable products from Empire Window Furnishings that can suit your limited remodelling budget. Available in a wide variety of types, styles, and colours, roller window coverings can really make your home’s décor livelier. They are versatile and quite easy to install, and can be an excellent alternative to the standard venetian blinds or other types of blinds. For more extensive home remodelling projects, you can even find motorised ones. While they are usually a bit more expensive, they can offer you some unique advantages that cannot be found in any other form of window treatments. You can get other products including Sydney blinds, vertical blinds, venetian blinds, panel blinds system, cellular blinds, and many more in our Blinds Buying Guide. 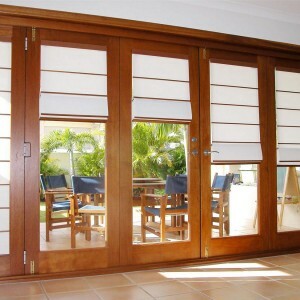 Our staff can assist you with a variety of window furnishings including shutters, curtains, awnings and screens. The standard non-motorised blinds are designed on the principle of tension and release. There are various models such as the spring roller window blinds which use a spring to create tension and friction. This is meant to hold the blind in the proper position when the tension has been applied, and the releasing of the tension which would allow for an easy way to reposition them. Some of the other types use methods such as continuous loop action, which provides a smoother and more natural up-and-down motion for the blind. When you are searching for your own roller blind, look no further than Empire Window Furnishings. Our professionally trained consultants advise and assist you to help you choose the best product. Aluminium is quite often used for building roller blinds since it is capable of offering strong tensile strength and durability without adding a great deal of weight to the blind. Classic Roman Blinds – pocket concealed rods & stitching on the reverse side of the blind. Roman Blinds – arched battens across the face of the blind to soften its appearance and provide a contemporary finish. Sewless Roman Blinds – have pocketed panels but with no stitching joins. Roller blind fabrics are designed specifically for strong sun and damaging ultra violet light, making them extremely hardy and long-lasting. Our fabric collection incorporates a vast array of sheer, translucent and block-out fabrics in both plain and textured finish. Motorised roman blinds combines the flexibility and convenience of automation for enhanced internal comfort and control. These incorporate the “NICE” NS 11000 ME motor, 137W, and enables silent movement of the blind with a highly durable motor. A stiff pelmet teamed with roman blinds can be an attractive and practical solution for a small “problem” window where curtains are unsuitable and a blind alone may seem insufficient. Adding the stiff pelmet has the effect of creating a smarter more formal finish. Here are some general tips from our Empire Window Furnishings consultants: In general, the blind should be designed to match the house and should look attractive. 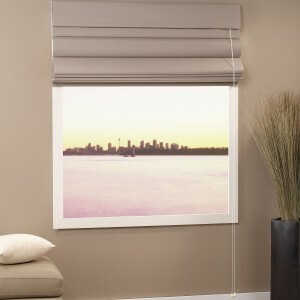 You should always test them to ensure that the hem rail is heavy enough to allow the blind to hang the right way when it is mounted to the window. Another feature that you should always look for is one-step push-button release. This allows for an easy replacement of a worn out blind without having to remove the existing brackets and mounting hardware. You can even have blinds that feature custom covers for the sides, which can provide a more complete look to the roller coverings. 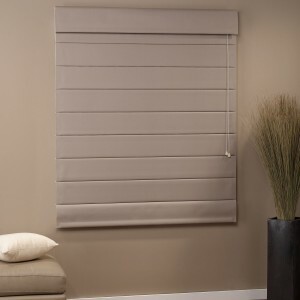 If you think that your blind will be under heavy use, you might want to consider heavy-duty ones, which have been specifically designed to stand up to more frequent daily use. 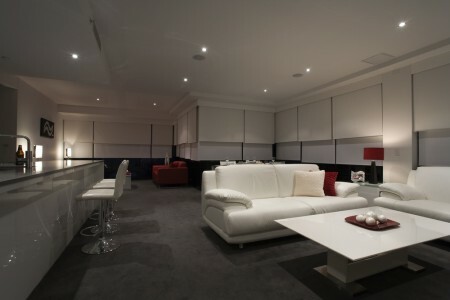 For greater convenience and ease of use, motorised roller blinds are an obvious choice. Their installation usually requires electrical wiring and a rocker wall switch that will raise or lower the blinds to a number of preset positions. For additional convenience, there are some roller blind systems which are attached to a timer that allows the blinds to be automatically raised or lowered at specific times during the day which have been set in advance. This is a great way to keep your privacy during the day, especially if you are away from home for a couple of days. This can also add some extra security measures to your home, since it will give the onlookers an impression that there is someone at home during these times who controls the blind. This can ensure more safety and you will feel more assured that nobody will infiltrate your home while you are away. Some of them can also be found with additional remote control devices which can be used to operate them from a distance. This means that you can make them go up or down while you are lying on the couch or bed, giving you extra convenience. Whether your reason for buying is to make your interior look more attractive, or block annoying sun rays from getting into your room, opt for roller blinds. They are very convenient and can greatly improve the comfort that you feel while you are at home. Our professionally trained staff can assist you in selecting the correct type, colour and style to match your windows. This window covering is one of the least expensive window treatments that you will find anywhere. Looking for new window coverings in your home? Our styles and designs have been making homes beautiful for over 30 years. We make sure to bring you the best models that will add charm to your home. First thing you have to do is choose the best type that will suit your character and style. Today, roller blinds are becoming popular among most homeowners. Basically, roller window coverings come in different styles, colours and designs that improve the traditional appearance of draperies window furnishings.They will match any part of your home perfectly, including your kitchens or bathrooms. You can install them especially for your new house instead of using other window furnishings. These window coverings offer you choices for your window covering that will fit your windows. They come with different materials such as luminous clothes, sunscreen textiles plus blackout drapes that are also available in different colours, designs, styles and patterns. No doubt these will definitely add polish to your interiors. 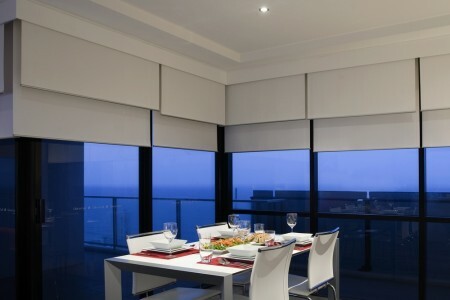 Another benefit of roller window coverings is how versatile they are due to the variety of fabrics used in making them. You can have complete privacy, depending on the material you choose. Whatever it is, we are certain that they will cater to your needs and wants. Compared to other window furnishings, this window covering is easy and simple to use. There are numerous ways in which the blinds can be opened, closed or moved along the windows, making them easy to operate. You can install the types that operate by a chain drive that is assisted by a spring or open blinds at once using motorised roller blind. Roller blinds last for a longer time because of the steel tubes used. At Empire Window Furnishings, only high quality materials are used for the parts included in the construction of our roller blinds. Empire Window Furnishings offers long warranty and guarantees that our competitors find hard to match. Our designs and colours will never fade even when it is exposed to the sun because the fabrics used are made to resist UV rays. They will update and enhance the artistic beauty of your home, as well as add value to it. It offers flexibility and is easy to operate. It also has high resistance to heat or direct sunlight so you can put it either in your kitchen or outside your home. If you want to have complete privacy or a bright and vibrant home, roller blinds are your best choice. It comes with an extensive range of styles to suit to any home interior style and character.